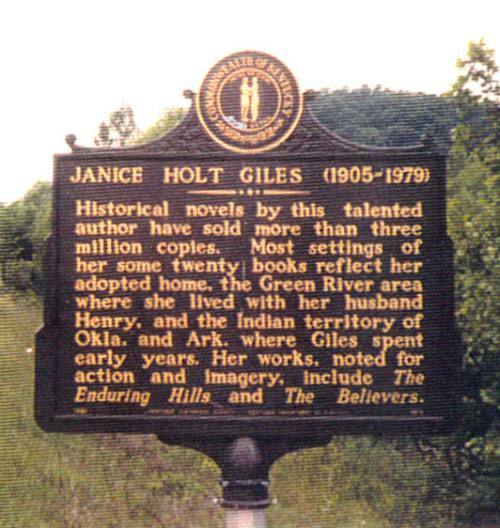 Janice Holt Giles is one of my very favorite authors. I collected her books for years and have them all. Hannah Fowler, 40 Acres and No Mule along with the Enduring Hills are just a few of my favorites about Kentucky. Once you start reading her books you won’t be able to put them down. Great, interesting post. Over the weekend I went to a couple of good estate sales where I picked up several good books. I was happy to see the book by Janice Holt Giles. Chances are you have never heard of her, but she was a popular mid-range author in the 1950s-70s. She never got rich from her writing, but she was able to support herself, and that is saying something. Janice Holt was born in Arkansas in 1905. As a child she moved to Indian Territory (Oklahoma) where her parents were both teachers. She grew up with books and music and went to college. When her first marriage ended, she and her daughter moved to Louisville, Kentucky where Janice worked for Dr. Lewis Sherrill, Dean of the Presbyterian Seminary.